Ghostbusters: The Video Game on Nintendo DS is based on the smash hit motion picture franchise Ghostbusters features a completely new story. Ghostbusters: The Video Game on Nintendo DS is based on the smash hit motion picture franchise Ghostbusters features a completely new story. Coinciding with the 25th anniversary celebration of the film’s original theatrical release, Ghostbusters: The Video Game on Nintendo DS reunites original cast members to recapture the unique blend of humour and fright that established Ghostbusters as a pop culture sensation. Penned by original Ghostbusters writers Harold Ramis and Dan Aykroyd, Ghostbusters: The Video Game brings members of the original cast together for the first time in 20 years. 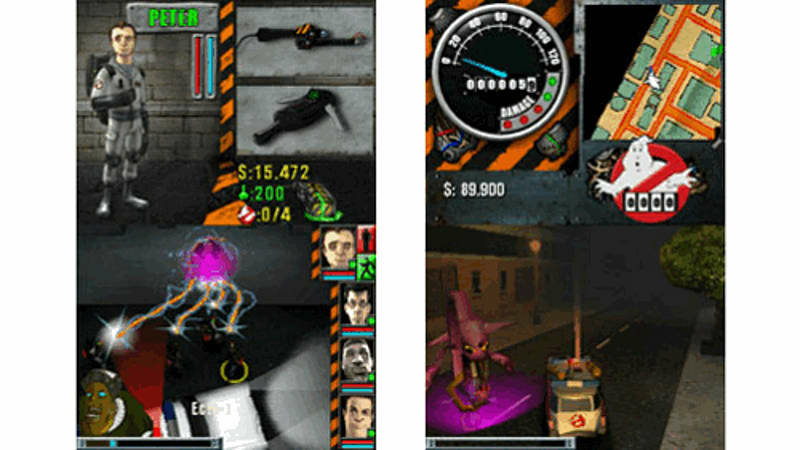 Bill Murray, Dan Aykroyd, Harold Ramis and Ernie Hudson lend their voices and in-game likenesses to the original story set two years after Ghostbusters II, with Manhattan once again overrun by ghosts and supernatural forces. Players will have the chance to chase, attack, and catch ghosts in a funny and frightening battle to save New York from its latest supernatural plague. 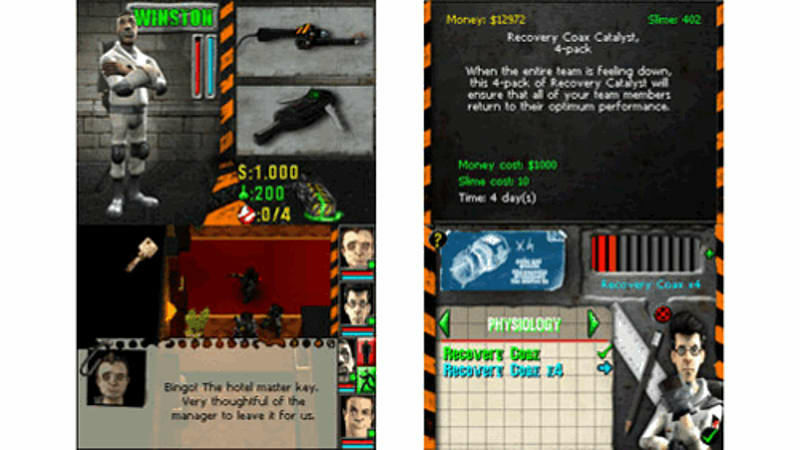 Unique gameplay - Experience unique ghost hunting, wrangling and trapping with upgradeable weapons in widely destructible environments and large scale boss fights in Ghostbusters: The Video Game on Nintendo DS.